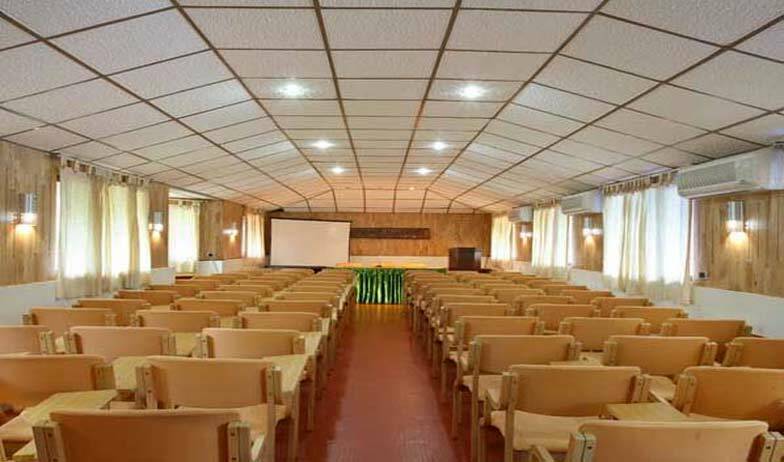 Located on the pristine Cherai Beach from which it draws its name, the Cherai Beach resort is a very popular three star property that provides spacious and comfortable accommodation options to guests visiting Kochi. 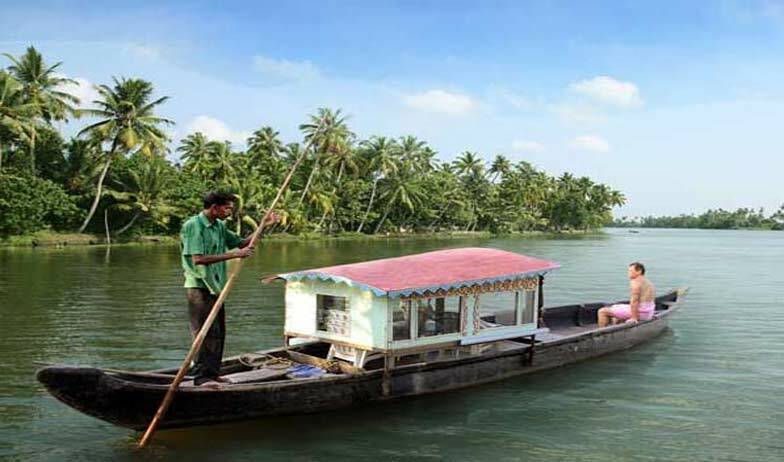 The resort is located very close to Muziris- the popular heritage site and is set in one of the most scenic and tranquil environs of the city, which makes it an instant hit among nature lovers. Surrounded by lush green gardens and gorgeous backwaters; the Resort offers everything you desire in a vacation stay option. As far as accommodation is concerned, the resort offers 66-wittingly placed spacious villas in eight different categories of Pool Villas, Fishermen Villas, Sunrise Villas, Doctors Premium Villas, Garden Villas, Doctors Villas, Club Villas and Four Bedded Villas. The Villas are equipped with elegant décor and all modern amenities to ensure comfortable stay for guests. Kerala and Kochi are both very famous for their delectable food specialties, and to give patrons a chance to enjoy these culinary delights, the resort has developed an onsite multi cuisine restaurant named Oottupura. 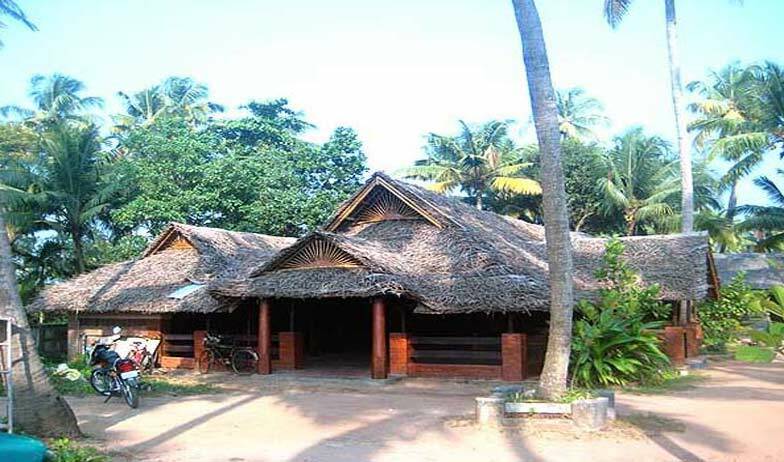 Apart from this Cherai Beach Resort also boasts of other facilities and features such as Ayurmana Spa, health club and well equipped gymnasium, beach umbrellas and beach benches, travel desk, three conference halls of different sizes, hammocks and swings to enjoy backwaters, currency exchange facility, Laundry service, doctor on call facility, ample car parking space and many others. 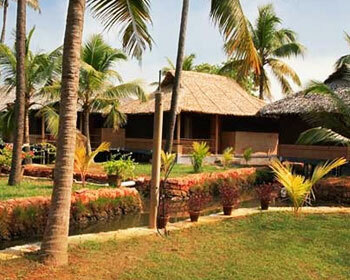 The scenic location and premium accommodation choices make Cherai Beach Resort one of the finest resorts in Kochi. 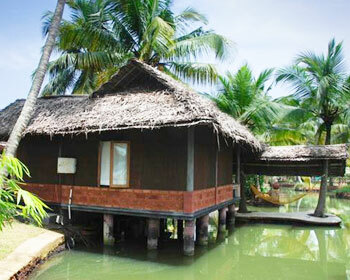 Situated on the banks of backwaters, Pool Villas a luxury accommodation option offered by Cherai Beach Resort, Kochi. The Pool villas are aimed at clients who are looking for romantic location and comfortable accommodation options to spend their vacation with their loved ones. The spacious Villa consists of a Master bedroom with a rounded bed and an upstairs balcony that directly overlooks the gracious natural beauty of open lake. To ensure utmost comfort and offer romantic ambience, the Suite also offers an en suite bathroom with a Jacuzzi and a mini Pool, from which the villa draws its name. The Pool Villas have earned great admiration for clients because it offers complete privacy and romantic setting. Equipped with modern comfort features such as min refrigerator, LCD television, wall mounted aquarium, tea and coffee maker; the Pool Villas are sure to pamper guests. Extra Beds can also be availed upon special request. Tired of boring hotels and resorts, then Fisherman Villas available at Cherai Beach Resort will surely be a pleasant surprise you. 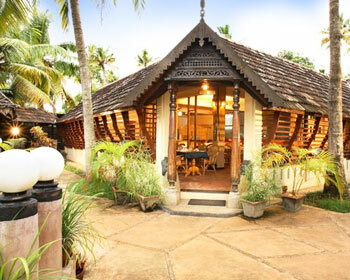 The Fisherman Villas are structured in unique architectural style of Keralite tribal huts and have simple yet very elegant décor. 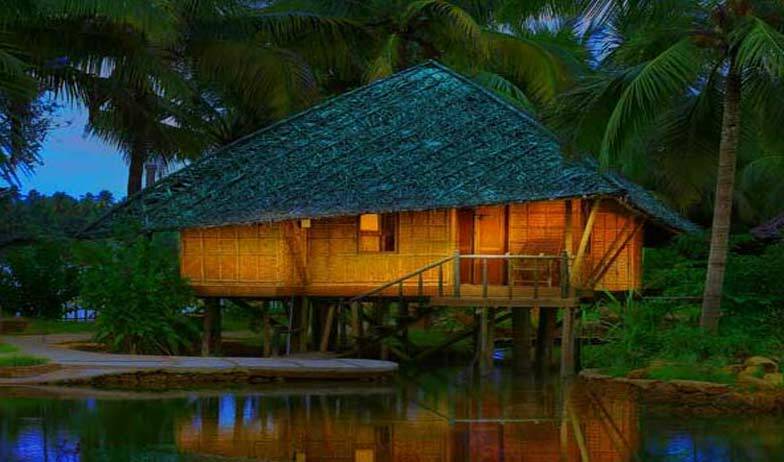 These Villas are built using only natural products such as roof thatched with palm leaves, bamboo, coir, mud plastered walls; they allow patrons to experience the undemanding and fulfilling lifestyle and culture of people of Kerala. The villas also sport very unique décor and interiors that are adorned with tribal paintings, terracotta tiled floor and other embellishments. The villas can be availed with or without facility of air conditioning depending upon the requirements of client. The rooms face the majestic backwaters and cool gentle breeze keeps cool and comfortable natural environment in and around the villas. Patrons will also be pleased with different modern amenities included as part of these villas. These include private bathroom, refrigerator, LCD television, tea and coffee maker, option of master bed or twin bed options and many others. Patrons can also request the management to include an extra bed in the villa for guests. Sunrise Villas are the latest addition to the already exhaustive list of accommodation choices offered by Cherai Beach Resort. These modern and independent Sunrise Villas are located exactly opposite the majestic Backwaters and offers unrivaled view of the natural beauty right from the comfort of the room. One stand out feature about these Villas is the separate garden courtyard with hammocks and sunbath facility that adorns the entrance to the villas, which sets it apart from the rest. The master bedroom offers unmatched view of the natural beauty that surrounds the Villas. 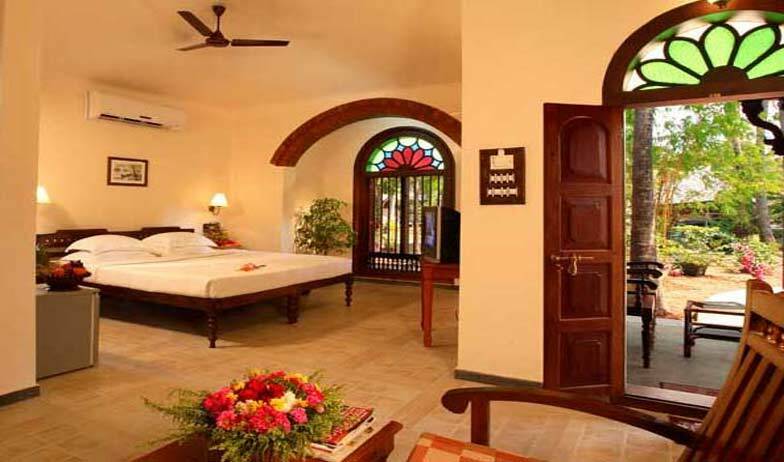 The décor of the Villas is very opulent and cultural embellishments and artifacts are used to adorn the walls. Patrons will also be very pleased with generous accommodation of modern amenities and features that are incorporated in the Sunrise Villas. The main among them are Open to sky bathroom, balcony that directly faces backwaters, mini refrigerator, LCD television, tea and coffee maker and option of Master or twin bed. Patrons can also get an extra bed on special request for guests or kids. 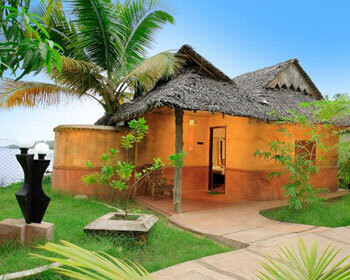 Doctors Premium Villa is one of the best accommodation options available at Cherai Beach Resort, Kochi. 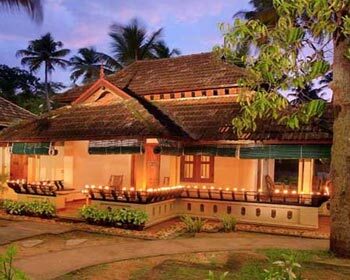 The Villas are structured based upon modern architectural theme and reflects the typical Kerala house style. The spacious Doctors Premium Villas consist of two bedrooms and two attached private bathrooms with premium fittings. Ideal for group travelers and families visiting Kochi, the Doctors Premium Villas allow guests to spend their vacation time together. The décor and interiors are very elegant and reflect modern designs along with traits of classic Keralite embellishments and artifacts. Apart from being spacious, these villas are equipped with all necessary modern amenities and features to ensure comfortable stay for guests. Some of the notable amenities include mini refrigerator, LCD television, tea and coffee maker, comfortable beds, seating unit and others. Abundant space and unmatched features, make Doctors Premium Villas stand apart from their competitors. If natural scenic beauty and green surroundings impress you, then the Garden Villas available at Cherai Beach Resorts are perfect for you. As the name suggests, the Garden villas are surrounded by well maintained gardens and beautifully manicured lawns along with other scenic treats. Apart from the mesmerizing surroundings, the villas are quite spacious and offer ample amount of space to guests to conduct their daily activities with ease and efficiency. The décor is designed by expert designers by drawing inspiration from local culture and surrounding natural beauty to give the Villas very distinct interiors. 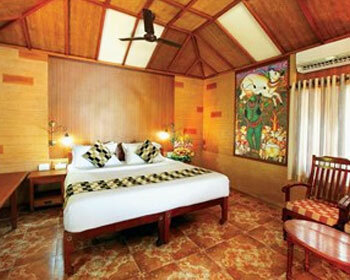 The interiors are adorned with natural design and Keralite artifacts that fill the rooms with charming aura. The Garden Villas have received rave reviews for both local and foreign guests because of the modern amenities such as mini refrigerator, tea and coffee maker, LCD television, attached private bathroom with premium fittings, master or twin bed options and many others. The Garden Villas are ideal for solo and business guest looking for a breakaway from their routine. If comfort and luxury are your priorities while picking your vacation accommodation option, then the Doctors Villas available at Cherai Beach Resort will surely please you. These Villas are located bang opposite to the Lotus Pond and offers majestic view of the surrounding natural beauty. Spacious in nature, the Doctors Villas consist of a comfortable bedroom, seating area and private bathroom fitted with premium fittings. The décor is designed by expert decorators in a way that the interiors of the Villas complement the natural scenic beauty that surrounds them. The décor is also adorned with several cultural artifacts and paintings that fill the rooms with lively charm. 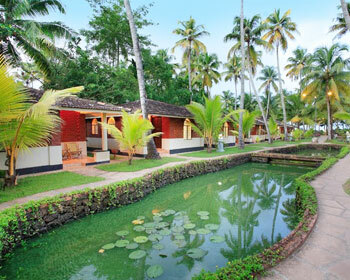 On amenities front also the Villas don’t disappoint at all. They are fitted with best of modern features, which include mini refrigerator, LCD television, tea and coffee maker, master or twin bed option, comfortable bed, seating unit and others. Premium features and abundant space is what makes Doctors Villas ideal for couples and families traveling to Kochi. Looking for comfortable and compact accommodation option in Kochi that offers scenic views, then the Club villas are perfect for you. Designed in the style of modern day Kerala houses, the Club Villas are structured in unique manner to give it a homely feel and appeal. 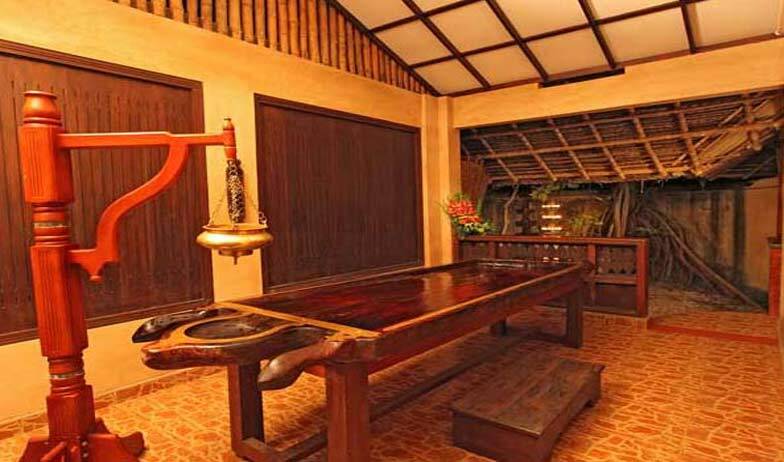 The décor of the villa is very modern and hues of Kerala’s culture and lifestyle can be seen in the paintings and artifacts that adorn the rooms of Club villas. Although compact, the villas are designed in a unique manner that provides enough space to conduct daily activities with ease. They are fitted with best of modern amenities and features to ensure that all major and minor requirements of guest are catered to in the best possible manner. The major amenities include mini refrigerator, LCD television, tea and coffee maker, master or twin bed option, comfortable bed, seating unit and others. Ideal for solo traveler and business guests, the Club Villas are suited for short stays. Looking for an accommodation option that can host your entire group of friends or family in Kochi, worry not, we have got you covered. The Four Bedded Villas is offered by Cherai Beach Resort with the sole aim to cater to group travelers who need more space and amenities for their stay. 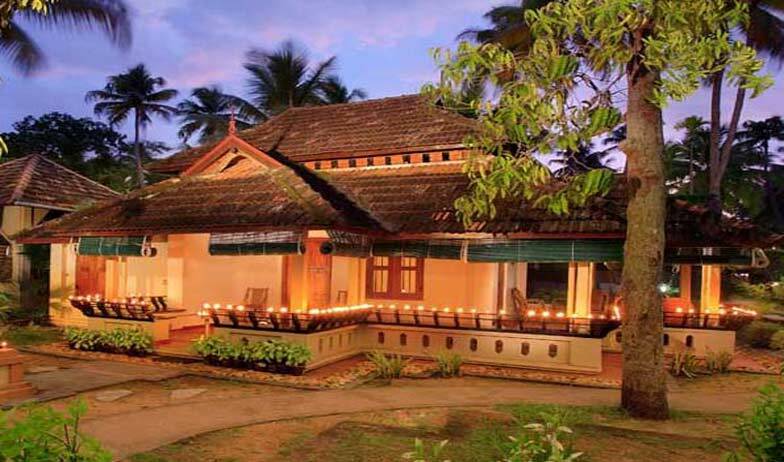 These villas are structured like the heritage buildings of Kerala and have private enclosed courtyards, where private parties and functions can be hosted by guests. The Villas are non air conditioned but have elegant décor and host of comfort amenities to ensure comfortable stay for you and your friends. 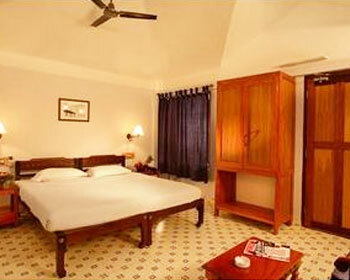 The Villas are equipped with four comfortable beds and extra beds can be availed upon special request. Guests will also be pleased with the classy décor of the rooms, which is simple yet very elegant and complements the natural beauty that surrounds it. 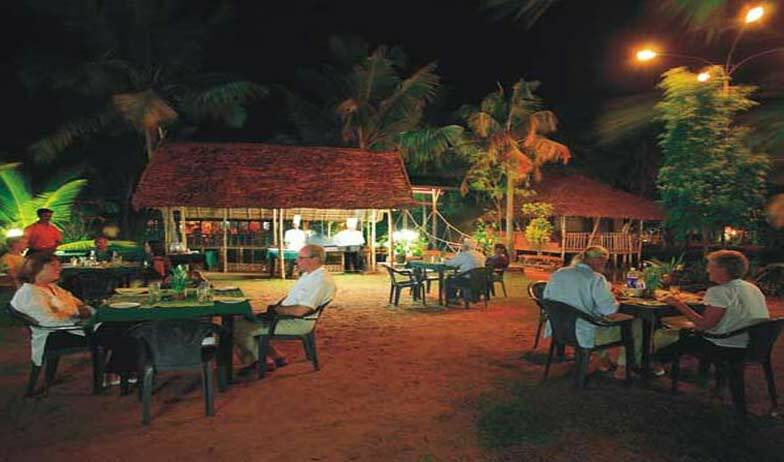 Oottupura is the main on -site multi cuisine restaurant of Cherai Beach Resorts. The diner is located on the premises of the resort and therefore offers easy access to guests staying there to satisfy their gastronomical desires. The restaurant serves Indian, Chinese and continental cuisines to guests. However, Patrons are advised to try the local delicacies that are served here. These specialties are prepared as per traditional recipes using best spices and ingredients, which bring out the authentic taste of the dish. Some of the signature dishes served at Oottupura Restaurant are Spicy chemmeen curry (Prawns), Crab with coconut and Karimeen pollichathu (Pearl Spot fish grilled in coconut milk). The bistro also has a live & spot tandoor, which serves delectable grilled and barbeque dishes. To serve the Vegan guests visiting Oottupura, the management has developed a separate kitchen where Vegetarian and Jain food is prepared.